The tragic death of 19-years-old Jonny Byrne from Co Carlow in Ireland, who died after jumping into the river Barrow in Carlow on Saturday, has sparked off a fierce debate on social network responsibility in the diffusion of dangerous behaviours amongst younger users, in particular Facebook. Allegedly the teenager had been playing at a binge drinking game by NekNomination, a Northern Ireland-based webpage. The NekNomination Facebook page had only been set up a week ago and since then it had been promoting its game, quickly attracting more than 10,000 "likes". However, the page was suspended yesterday after revelations around Byrne's death emerged. Indeed, the family of the teenager complained to Facebook about the content of their page soon after the accident. According to the family, Byrne's had been playing the NekNomination game the day of the accident, filming his drinking bouts and posting them online for other people to see. The game apparently consisted in downing a large intake of spirits and then nominate others to do the same within a 24-hour period. 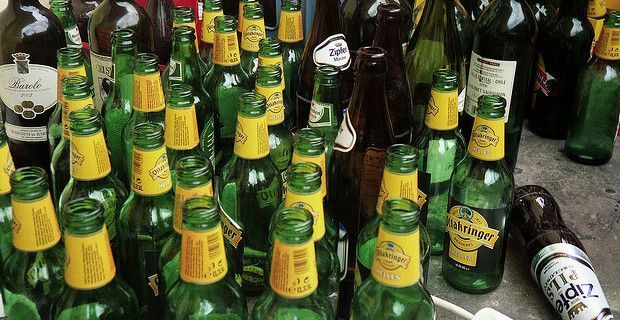 Last Tuesday the NekNomination website had first showed the homemade films of the binge drinking contenders, which appeared to be almost invariably younger people and teenagers. Joe Byrne, father of the dead teenager, told Irish state broadcaster RTE that the tragic circumstances of his son's death involved the NekNomination game, and appealed for others not to take part. "I'm pleading to every youngster to think of the things they're doing”, Mr Byrne said, “It has cost my son his life. The whole family is devastated and our lives will never be the same again. I hope this message is heeded because for us, life is virtually over." Pat Rabbitte, Ireland's communications minister, has pledged Facebook to take down any similar pages promoting heavy drinking contests that may appear in the future: "It would be helpful if Facebook agreed to take down pages, which promote a stupid and silly phenomenon." However, the posting of such material is not a breach of Facebook's rules or community standards, and so far the social media giant has refrained from acting further.